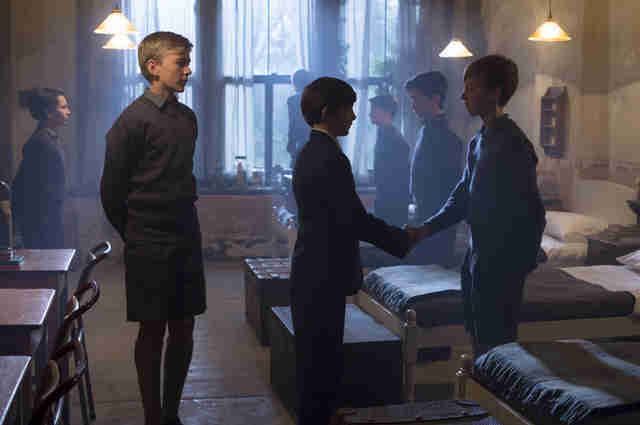 The following post contains mild spoilers from The Crown, but also not really. It's freaking HISTORY, you guys. 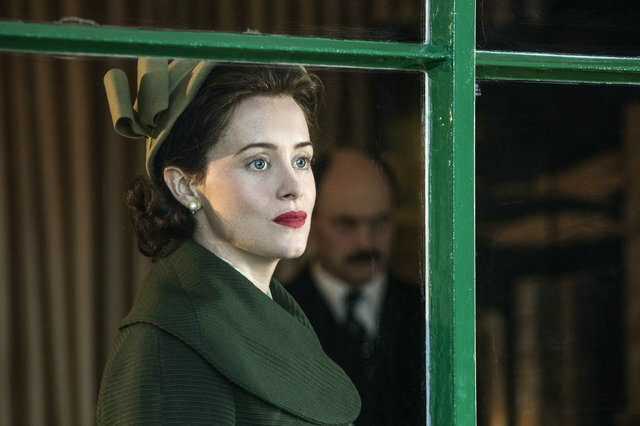 Two seasons in, Netflix's hit historical drama about the reign of Queen Elizabeth II, The Crown, is still fascinating viewers. The (very expensive!) 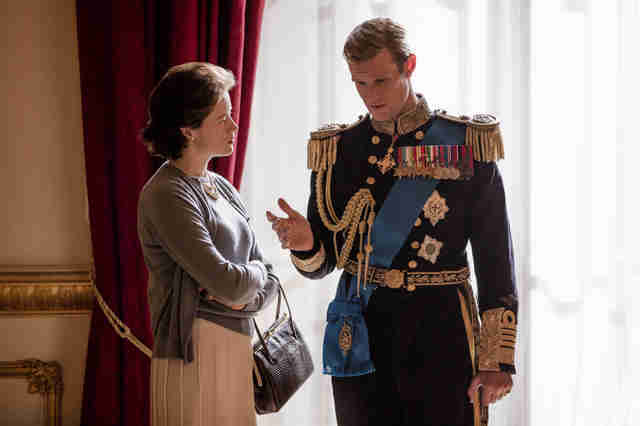 show, from royal aficionado Peter Morgan (The Queen), is well on its way toward Season 3, but for a show that's purportedly the opposite of fictitious, a surprising amount of questions about what's going to happen next, and how, linger. There have been rumblings of new royals (the potential introductions of Diana, Princess of Wales, and Camilla, Duchess of Cornwall), for instance, as well as new time periods (the '60s? the '70s?). Shouldn't it be, uh, obvious what's going to happen? Yes and no. Read on for everything we know so far about the future of The Crown, a guide we'll update as more info is released. When is The Crown Season 3 coming out? The good news is it's definitely happening. In fact, speaking at a BAFTA masterclass in late February, series creator Peter Morgan confirmed at least two -- two! -- more seasons. The bad news: While previous installments of The Crown have hit Netflix near the end of the year, Season 3 doesn't look like it'll make the 2018 cut. The BBC reported a 2019 release, with early production already underway and filming slated to begin this summer. You'll hopefully have less of a wait for Season 4, though, as the next two runs are being done back-to-back. Morgan promised, "I'm writing them all at the moment." Ambitious (and thoughtful)! 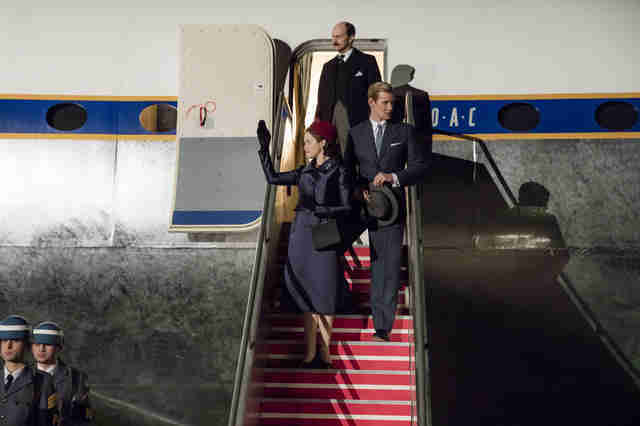 What's going to happen in The Crown Season 3? Picking up not long after Season 2, the next chapter of The Crown will cover Elizabeth's life during "the Wilson era," i.e., the two terms of Prime Minister Harold Wilson (1964-1970; 1974-1976). The monarch was in her 40s during the time period, which notably saw Britain lean toward decolonization, endure a string of economic crises, and, after multiple attempts, enter the European Community. Season 3 will also pave the way for Margaret Thatcher; Diana, Princess of Wales; and the end of Princess Margaret and the Earl of Snowdon's marriage. "This season," the show's history consultant, Robert Lacey, teased for Town & Country, "you see how [the royal break-up] starts, and what a strange character, a brilliant character Snowdon was." Given its new time period -- plus the fact the characters are now fast-outpacing the actors playing them, age-wise -- The Crown has been on the hunt for new faces. "After two seasons, that's it," Foy told Vulture at the end of 2016. "I'm gone. They're getting rid of all of us." The cast overhaul might partially explain the longer delay between seasons, considering, as one executive producer has put it, the creative team is committed to replacing every actor for every character. Explaining his reasoning to Variety, Morgan noted that simply using makeup and prosthetics to age the cast an extra decade would make them "look ridiculous." Also: "You can't ask someone to act middle-aged," he said. "Someone has to bring their own fatigue to it. The feelings we all have as 50-year-olds are different than the feelings we all have as 30-year-olds. That informs everything we do." Many were rumored to be in the running as the Prince Consort, including Paul Bettany and Hugh Laurie, but the role ultimately went to Menzies, whom you might know from Game of Thrones, Catastrophe, Outlander, or, most recently, The Terror. (He's already worked alongside Colman, on The Night Manager.) Menzies takes over from Matt Smith, who first shot to fame on the BBC's long-running sci-fi adventure series Doctor Who as the 11th Doctor, another larger-than-life role he'd eventually have to leave behind. "It was hard to give up the Doctor -- you want to play it forever," Smith actor told the UK Times. "Peter [Morgan] is writing Thatcher and Diana for season four, and I couldn't play that era's Philip, so I'll just turn into a punter, the way I did with Doctor Who. I'm looking forward to seeing where they take it, to be honest." Many of the original cast members seemed to be at peace with leaving their roles behind, but early on, Vanessa Kirby, who played the queen's only sibling, Princess Margaret, was the most vocal about wanting to stay. "I was so desperate to do further on... because it's going to be so fun when [the Margaret-Snowdon] marriage starts to break down," she told Vanity Fair at the end of 2017. "You see the beginnings of that in [Season 2] Episode 10. I kept saying to [Peter Morgan], 'Can't you put in an episode where Margaret and Tony have a big row, and she throws a plate at his head?' I'm so envious of the actress who gets to do it." With the new year came reports that Bonham Carter -- who's earned plaudits as Marla Singer (Fight Club), Bellatrix Lestrange (the Harry Potter franchise), and, oddly enough, Queen Elizabeth (The King's Speech, for which she snagged an Oscar nom) -- would be taking the job. Fortunately, Kirby seemed happy, confirming the news on Instagram with a pic of the two formidable talents together and a caption that read, simply, "Honoured." Are there any new "characters" I should know about? Yes, the big newbie teased for Season 3 is Camilla (née Camilla Rosemary Shand), who goes on to become Prince Charles' second wife and the Duchess of Cornwall. 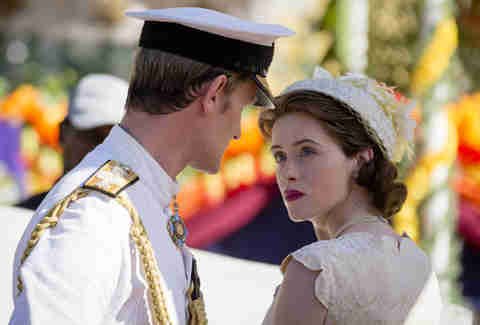 Fittingly, she'll make her debut alongside a more mature Prince Charles and Princess Anne. The actors playing the young trio haven't been announced -- for what it's worth, at the beginning of the year, British bookmakers had pegged The Room's Brie Larson and Game of Thrones' Sophie Turner as the favorites to play Camilla and Diana, respectively -- but casting director Nina Gold told Vanity Fair they're unlikely to hire big-name stars. "Charles, Camilla, and Anne are going to be pretty interesting characters to follow because they are just coming into their own," she said. "We've cast a pretty wide net for these new, young characters." While early reports wondered if Charles' first wife, Diana, would also appear in Season 3, Gold assured Vanity Fair that the Princess of Wales would be a Season 4 presence. (You'll see Camilla before Diana because the former met Charles mid-1971 and the latter, reportedly, around 1977, i.e., outside the proposed Season 3 time frame.) Said Gold: "When we do get to [Diana], that is going to be pretty interesting." In the middle of March, The Crown found itself embroiled in controversy. At an INTV panel discussion about the series, executive producer Suzanne Mackie let slip that Smith was paid more for his two seasons of work than Foy. The reasoning: Because of Doctor Who, Smith was more internationally renowned and his perceived star power translated to a higher salary. It was a backward (and not totally true, considering Foy's impressive résumé!) reasoning, to be sure, but the fallout from the news led to petitions, awkward apologies, and, ultimately, the beginnings of a fix. "Going forward," Mackie promised, "no one gets paid more than the Queen." As for Foy, many are calling for her to be properly reimbursed for her work as the lead of the series. "I certainly won't be naïve about those things" going forward, she said later at CinemaCon. "It's really opened my eyes about what I am allowed to have an opinion about, and what I’m allowed to stand up for myself about." Wait, so what's happening to the old cast? Hypothetically, you don't have to count them out for flashbacks, though, truthfully, that seems unlikely. The old guard should be out of the picture. Also, busy! You'll be able to see Foy next in The Girl in the Spider's Web (the big-screen adaptation of the Millennium series' fourth novel) and First Man (the Neil Armstrong biopic, in which she stars opposite Ryan Gosling as Janet Armstrong). Smith has been hard at work on Mary Harron's biopic Charlie Says (in which he plays the infamous killer Charles Manson), due out later this year. And Kirby will appear in Gareth Jones and Mission: Impossible -- Fallout, though she wants you to know she pushed very hard for a Margaret spinoff. ("We need to do a spinoff," she told Morgan, according to Vanity Fair. "You actually could do 10 hours on Margaret because she’s so fascinating," she told the mag. "There's so much to her, and she's such an interesting character.") Which, yes! Give it to her! At least two more (Seasons 3 and 4) for sure, but Netflix has plans for something close to six. (Maybe more if needed? Variety reports that the show's production base is good for 10 years.) "This [series] is going to take Queen Elizabeth from age 29 to, presumably, the current day. We'll see it [play out] over decades," Netflix content boss Ted Sarandos said in 2016. "The idea is to do this over six decades, in six seasons presumably, and make the whole show over eight to 10 years." Wait, does that mean actress-turned-royal Meghan Markle will play herself? Multiple reasons. Up to this point, the palace has had no involvement with the show, and that probably won't change anytime soon. ("They don't comment on what we do, there's no co-operation, and as a result, I don't owe them anything," Morgan told the UK Times. "When people ask if [the queen's] watched it, I say I have no idea and I don't want to know. I mean, she's ninetysomething years old and barely knows what the internet is, so I live in hope that she hasn't seen it, never watches it, and doesn't give it the slightest thought.") Though Mackie has joked the Suits alumna could play herself, Markle's busy! She's got a wedding (the wedding) with Prince Harry on May 19, she's going on a tour for the next year or two, and that whole acting thing? She retired -- her last professional appearance as an actress came during the Season 7 finale of Suits -- to focus on royal duties and humanitarian work full-time. Will we see any Trump? Hopefully not. Asked what the end point of the series would look like, executive producer Andy Harries said it would probably cap "when the crown passes." Or, quipped director Ben Caron, "As soon as Donald Trump walks into Buckingham Palace."